Much of what determines an application’s success rests on the shoulders of purchasing professionals; their product selections can create or eliminate system design issues. As with most components, this also holds true for cooling fans and blowers. Barring a few exceptions, fan systems are the most dependable source for generating airflow and maintaining operational temperature in industrial and commercial applications. 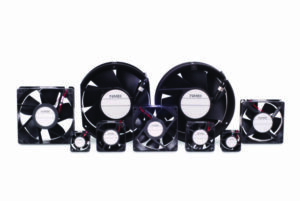 Varying enormously in dimensions and performance — from the tiniest micro fans to huge air conditioning systems — the fan is an essential component of many applications. Forced-air cooling using an AC or DC axial fan can play a significant role in extending the operating life of a device and preventing premature failures. The need for cooling should therefore be determined early in the design to ensure good airflow around heat-generating components and to allow sufficient space and power for the cooling fan. Improper procurement however, can derail even the most well-planned design. Without correct fan selection, manufacturers can face increased overheads and project delays due to higher commissioning, inefficient operation and expensive returns. Choosing oversized fan systems to avoid under-performance is one of the most common practices — as well as the biggest mistake. Unfortunately, oversized fans not only increase purchasing and operating costs, but also lead to performance problems. To mitigate these issues, a ‘systems approach’ to fan selection can result in a more efficient and reliable system and is often what distinguishes the best OEMs. This approach provides a 360deg view of the entire system, considering the characteristics of each component, as well as the interactions among components across operating conditions. While striking the right balance between components requires effort, a systems approach can eliminate a lot of headaches down the road, as well as reducing system life-cycle costs. During fan procurement, there are several factors to consider to ensure the product is efficient in terms of its performance and energy consumption. Understanding the environmental constraints of an application can help select a fan that meets and exceeds any external factors. That’s where industry ratings come in handy, so it’s important to know what they mean. The IP code, or ingress protection marking, classifies and rates the degree of protection against intrusion into electrical enclosures. Applications that require a high IP code include food processing equipment, refrigeration, factory automation, telecom and horticulture, among others. 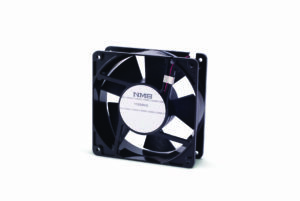 For these applications, a cooling fan rated IP69K will be the optimum choice. This ensures that the fan has passed rigorous tests regarding high pressure, extreme temperature and water and dust ingress. Knowing a fan’s rating can help purchasing professionals match the right product with design and usage requirements. 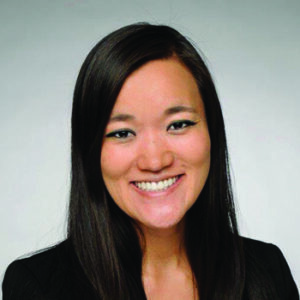 This will avert cost and performance issues that can stem from incorrect procurement. Of course, system design issues can surface later in the design process, but very often the seeds of the problem are sown at the procurement stage. By exercising proper caution and following the right procurement practices, such issues can be nipped in the bud.